I never expected that when I was in my 60’s I’d be fighting some of the very same wars we fought in the 1960’s for human dignity, human rights, and against racism, moral and political corruption and the blatant disregard for the Rule of Law by the President of the United States. But here we are again, and here I am, along with many others who have been there all along as well. Only now, 50 years later, remarkably, I have more energy than the first time around, and am more outraged and more determined than I’ve ever been in my lifetime to fight to my last breath to make this country a better, fairer, more just place, with respect for all. Oddly, although I have many more financial assets today than I had 50 years ago as a college student, I feel like I have nothing to lose by giving this fight everything I’ve got. In fact, I have everything to lose, if I don’t fight hard, including my ability to look my granddaughters in their pure, innocent eyes and tell them I did all I could to make life better for them. So, with the entire direction of the US Supreme Court and the Judicial Branch of government for generations now up for grabs, don’t even think of telling me to temper what I say or how I say it, or to be reasonable or “civil.” Being reasonable and “civil” and playing by the rules is what gave us the non-candidacy of Justice Garland, and the election of the Russian tool and kleptocratic Fascist Donald Trump. Being “civil” has put the very existence of civil society at risk. Being reasonable has led to the forced separation of refugee children from their mothers, the blatant religious discrimination against Muslims, and the continued battering and abuse of young black men. This is a terribly racist nation and it has been since its inception, but now America is teetering on the brink of totalitarianism, or worse, indifference to totalitarianism, aided and abetted by an avowed enemy of democracy—Russia—which has financed nationalist, anti-democratic movements around the world, including in the US Elections of 2016, as documented by every single American & British Intelligence Agency. · to save this country and guarantee human rights for my granddaughters. I will use any means necessary to protect the people I love. I will settle for nothing less than total obstructionism by the Senate Democrats to stop–in whatever way they can–any and all further nominations by Donald Trump to the Federal Courts, and to the US Supreme Court, now over the next four months, and for the remaining two years of Trump’s term, if he isn’t forced to resign sooner for criminal conduct or conspiring with the Russians to undermine democracy and our national interest. The mere concept of a President under an ominous cloud of a far-reaching criminal indictment and of conspiring to undermine democratic institutions and the Rule of Law with a foreign adversary, is, on its face, enough to disqualify any nomination for any judicial position, especially the Supreme Court. To do otherwise is tantamount to enabling Gambino Crime Family Boss John Gotti to select his own judges and juries. I will continue to work as hard as I can, write as much as I can, and contribute as much money as I can afford, to ensure a Democratic take-over of the US Senate and the House of Representatives this fall. There can be no compromise on this and no surrender. Any Democrat who caves in, deserves disgrace and defeat. Anyone calling for moderation, or for making peace with mendacity and extremism, has lost all credibility in this grave new world in which we live. I’m tired of the timidity of too many liberals and progressives who luxuriate in wringing their hands over how horrible everything is, but are too reserved to wring the necks of the people who are the causes of the horror. 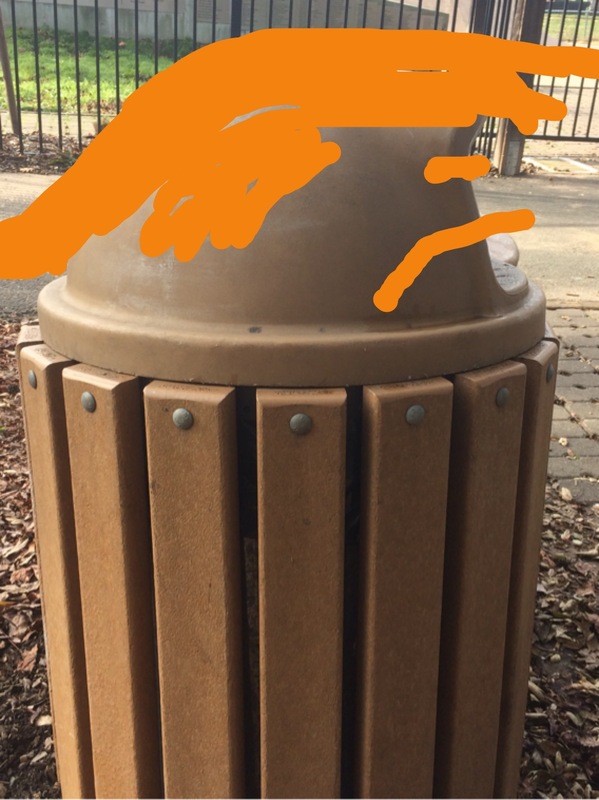 Shaming public officials in public places for their shameful behavior as public officials is a perfectly valid form of protest, advocated and practiced by Dr. Martin Luther King, as a form of direct Civil Disobedience. I am committed to doing it even more aggressively, and to make it my mission to ensure that the comfortable find no comfort. Like Dr. King, I am neither a liberal, a conservative, nor a progressive, but a radical in the truest sense of the word. I am dedicated to rooting out the underlying causes of the inhumane governmental actions and hateful private attitudes which are rotting the very foundations of this society. 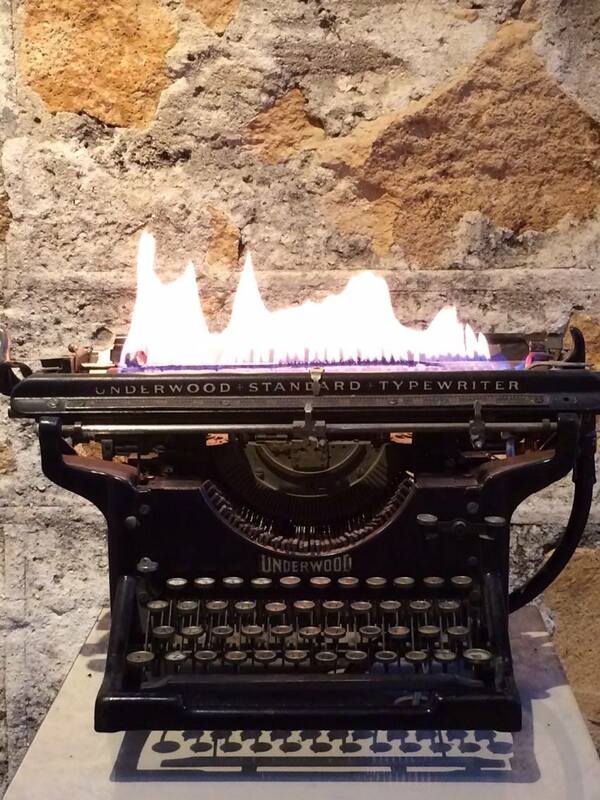 I am not intimidated by the current turn of events in the courts, in Congress, nor by the constant ooze of lies, hate, lawlessness and massive corruption flowing out of the Executive Branch, like lava from an active volcano. 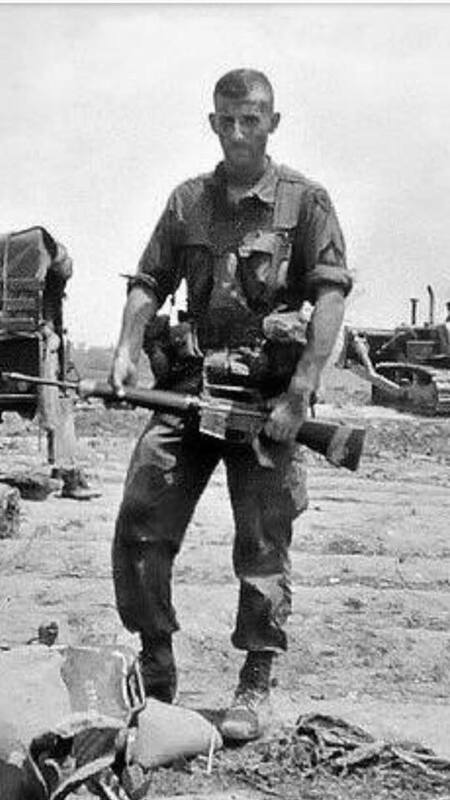 If anything, my senses are sharper and on high alert, and I am emboldened, and far, far more dangerous than I ever was the first time I fought this war 50 years ago. I have been through the valley of death and defeat many times, and I fear no man. This week marks a perfect storm of events relating to John Gotti and Donald Trump. First, on the biggest mobster in the nation’s history: Trump’s birthday is June 14, Flag Day, and Trump is proving himself to be the most un-American, un-patriotic of US Presidents by undermining the post World War II Alliance of Western democracies. At the same time, the Flag Day Flim-Flam Man is advancing the interests of America’s most viscous, vindictive and dangerous foe, Russia. Trump started dealing with Russian mobsters—in New York and in abroad—after he used up his credit lines with the Genovese and Gambino Crime Families of New York—the crime families that enabled him to build Trump Tower and other New York properties– and the Scalfo Crime Family of Philadelphia—the crime family that helped Trump build the Atlantic City Taj Mahal Casino. In return for the mobs’ bankrolling him when regulated bankers would not, Trump laundered millions of dollars in dirty money, for which his now bankrupt New Jersey Casino paid a $10 million fine. Trump’s well-documented mob associations aside, I’m more furious over the Quisling Trump’s sabotage of democracies around the world. My father went off to war, leaving his wife and three children to fight to preserve Democracy in WW II. My wife’s uncle, a 20-year old Jew, lost his young life fighting the Fascists in Europe. By annihilating the sacrifices of tens of thousands of US Veterans who fought and died to make the world safe for Democracy for decades, Trump has defecated on their graves, wiping himself with the American Flag in the process. Imagine how callous Trump would be if he wasn’t born on Flag Day. The following day, June 15, represents milestones for former Gambino Mob Boss John Gotti—now dead 16 years ago this week–and for me. Last June 15, my memoir was published on the 85th Anniversary of Mario Cuomo’s birthday, recounting the tumultuous eight years I worked with Cuomo—a paragon of integrity with reverence for the law– while my brother was working as a bagman for John Gotti. 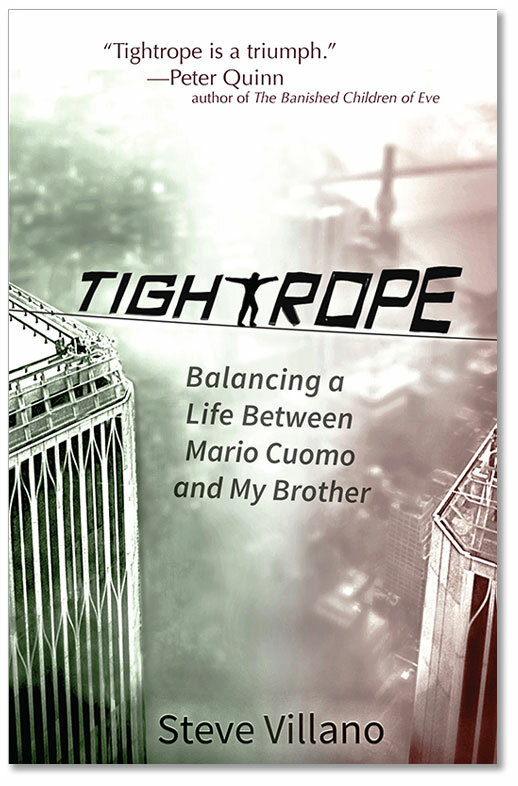 My book, entitled Tightrope: Balancing a Life Between Mario Cuomo and My Brother,” was published by Heliotrope Books (NY). It detailed my eye-witness testimony of how I knew Mario Cuomo had no connections to organized crime, because I did—and my brother’s mob associates understood it clearly, since they declared Cuomo to be “unreachable.” It was the exact opposite way they felt about Trump, whom John Gotti and the Gambino Family’s local Teamster Boss John Cody—both friends of my brother Michael’s– considered to be their personal, puffed-up patsy. This June 15, the long-delayed movie “Gotti”, starring John Travolta, is being released by Lionsgate and pumped out globally via On Demand and Movie Pass. According to Variety, the film depicts John Gotti, Mob Boss, as a “respectable family man.” The movie, based upon the self-published memoir of John Gotti, Jr., entitled “In the Shadow of My Father,” completely distorts the message of the book, which, I quoted in my own, since it demonstrated the repulsion Gotti’s son had for being torn between his love for his father and exposing his own family to “The Life” in the Mob. 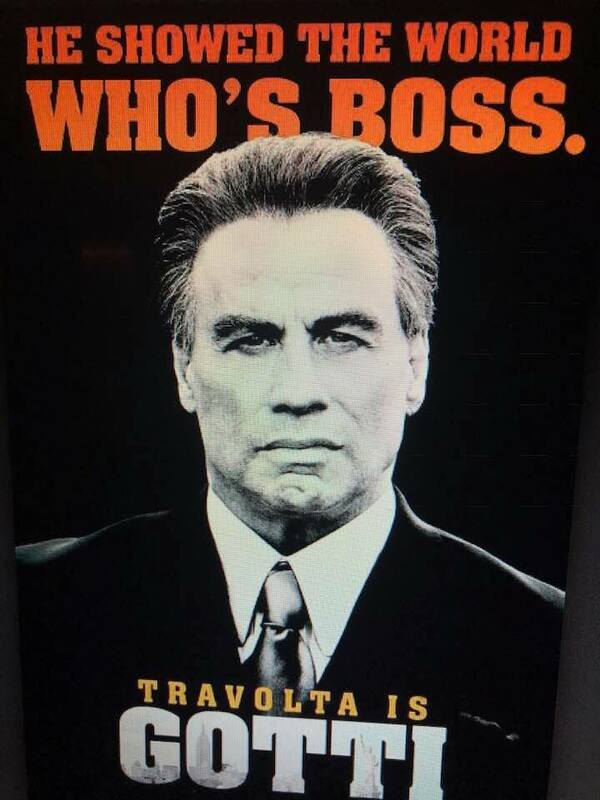 So in the week when Trump sells out global Democracy to dance with dictators, when he wraps himself in the American Flag while mocking the values it represents and the Veterans and law enforcement personnel who still risk their lives to defend those values, the flim-flam film “Gotti” debuts in America, with the appropriate marketing phrase: “He Showed The World Who’s Boss.” He did; for a while, just like the flim-flam President is showing the world right now. For a while. Gotti was the boss–until Sammy “the Bull” Gravano (Gotti’s own fixer, like Michael Cohen) flipped on him to Robert Mueller and the FBI, and the indictments, arrests, convictions and imprisonments started to flow. 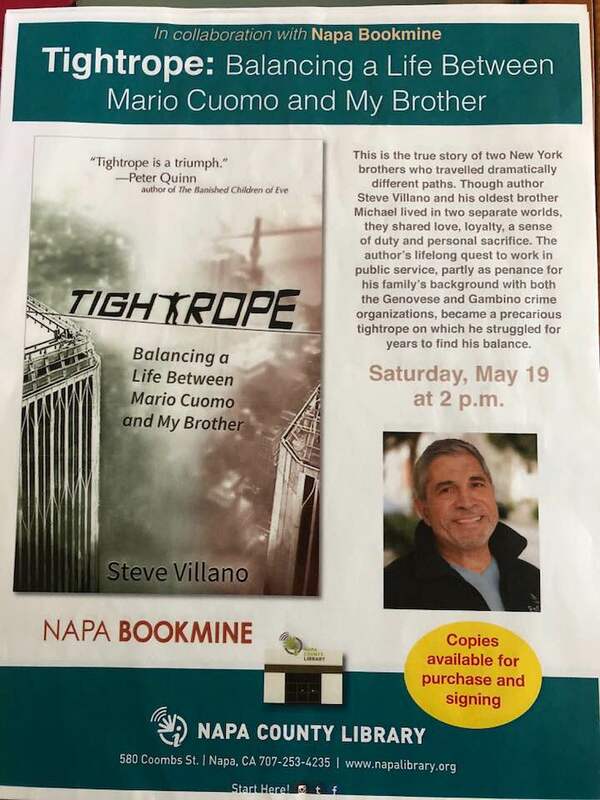 Join the best bookstore in the whole Napa Valley–the Napa Bookmine–, the Napa Valley Public Library, and me as I read from my book “Tightrope,” and explain the origins of the Trump Criminal Enterprise, which began with the Trump Family’s association with the Genovese and Gambino Crime Families of NY, and is now operating out of the White House. My brother’s associates in the Gambino Crime Family laughed at how much of a “patsy” Trump was for them, until he became a major bagman, and money launderer, for the Russian Mob. If you can’t make it to Napa for my book reading, you can order my book on Amazon or Barnes & Noble, or get it directly from my website at www.socialvisionproductions.com. Alternatively, you can wait for Special Counsel Robert Mueller’s indictments and final report to come out, as well as the indictments from the US Attorneys in the Southern District of NY. Who knows? In exchange for no jail time, Mueller may even get Trump to flip on his Russian Mob bosses, the way he got Sammy “The Bull” Gravano to flip on John Gotti, and bust up the Gambino Crime Family. Which Side Are You On? The War Hero, Robert Mueller’s? 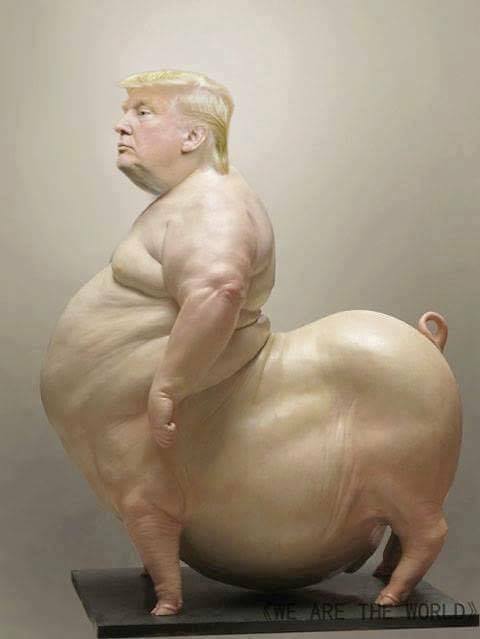 Or the Pig, Donald Trump’s? 4. The Object of the Conspiracy was : “impairing, obstructing, & defeating the lawful government fuctions of the US by dishonest means.” Right up Trump’s back alley. 5. “Defendants & their co-conspirators (Russian Spies) traveled to the US under false pretenses…” They fraudulently secured travel visas through the US State Dept, to go to Nevada, CA, NY, New Mexico, Colorado, Illinois, Michigan, Louisiana, Texas & Georgia. 6. The Russians used dozens of stolen identities of real Americans: stolen SS#’s, stolen dates of birth, addresses, fake pay pal accounts & fake drivers licenses. 8. Count Two: Conspiracy to Commit Wire & Bank Fraud: (Read this carefully Trump, this one’s for you and your entire team in the coming indictments): “to knowingly having devised & intending to devise a scheme & artifice to DEFRAUD, and to OBTAIN MONEY AND PROPERTY by means of FRAUDULENT PRETENSE, REPRESENTATION & PROMISES, transmit and cause to be transmitted by means of wire communications in interstate & foreign commerce…for the purpose of executing such a scheme in violation of Title 18 US Code, Section 1342. 10. Counts 3-8: Aggravated Identity Theft. If #Trump thinks ANY of this exonerates him, he is more of a moron then we’ve given him credit for being. Which side are you on: Robert Mueller’s, American Hero, who defended the US during War and cyberwar, or the Pig’s, who defends himself against allegations by Stormy Daniels by paying her hush money?